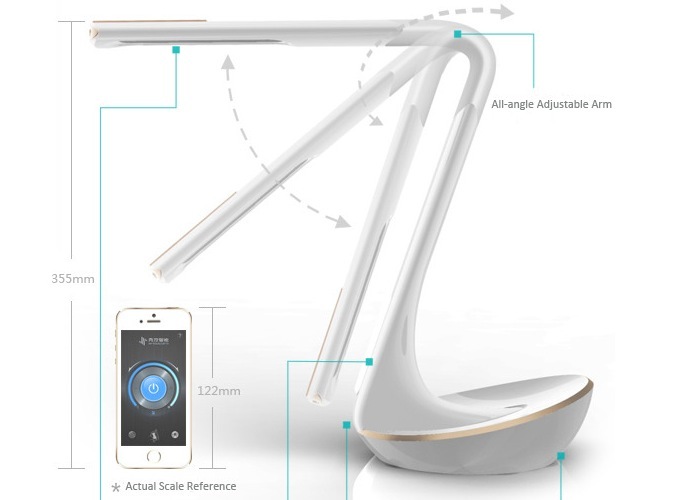 If you are in the market for a new desk lamp you might be interested in the new voice controlled Showcome LED light which has launched over the Kickstarter crowd funding website this week. The Showcome LED light can be controlled in three different ways by either your smartphone, voice or gestures depending on your mood and environment. Check out the video after the jump to see the Showcome voice controlled LED light in action. The voice controlled light project is currently over on the Kickstarter crowd funding website looking to raise just $3,000 in pledges to make the jump from concept to production. It measures 26.8 inches high and 7.3 inches wide and weighs 2kg. The Showcome LED light comes supplied with its own companion application that is supported by iOS devices. So if you think LED Light is something your home or office could benefit from, visit the Kickstarter website now to make a pledge and help LED Light become a reality. The voice controlled LED light is now available to back from as a little as $58 which is less than half the price the light will retail for when officially launched to consumers.